Rihanna stole the night of the MET Gala; from her exquisite designer cape, to her show stopping performance in front of a crowd of all of the gala's esteemed attendees, there seems to be nothing that she can't do. 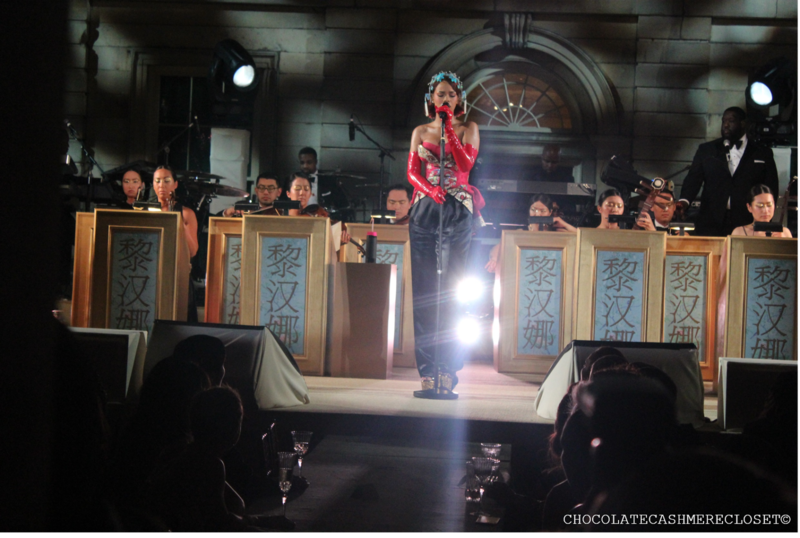 Rihanna, who performed a number of her worldwide hits such as "Diamonds", "Stay", "Pour It Up" and the newest "BBHMM" (which had everyone on their feet), was accompanied by a professional choir symphony consisting of violin and percussion players. Check out this exclusive snapshot of the starlet performing below.